Is Microsoft re-branding Live Search as Bing? Microsoft's marketers have apparently beaten their branding heads together and come up with a new name for Microsoft's search engine re-boot. 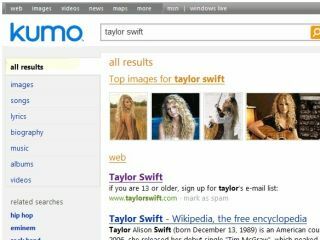 PC World is reporting that the computing giant is to release its new iteration of Live Search – currently codenamed Kumo – under the name Bing. Now, the UK is no stranger to odd re-branding strategies. In the last year or so, we have seen some rather interesting titled TV channels pop up on digital TV. Dave, we can handle; Watch, although a little annoying in its titular demand, is passable; but Bing? It doesn't quite have the same ring to it as, say Google. In fact, it's doubtful you will ever here anyone speak the following words: "I don't know what's on the cinema tonight, let's Bing it." While Microsoft's use of the word Bing can be filed strictly under rumour and speculation at the moment, it is believed that a $100 million advertising campaign is mooted to sell the idea of Bing to the web savvy. It's unconfirmed if they have spent the money on getting in Matthew Perry starring as Chandler Bing to sing Bing Crosby's winter hit 'White Christmas' while in The Sopranos' infamous strip joint Badda Bing!.